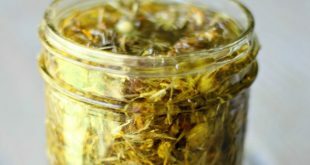 The Best Homemade Natural Cleaner Recipe – Works on everything! Floors, Kitchen, Bathroom, Windows, Mold, Mildew, etc. It sanitizes, disinfects, deodorizes, and cuts through grease, dirt and soap scum. 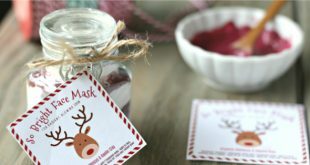 If you are looking for an easy homemade natural cleaner recipe that actually works and smells great look no further! 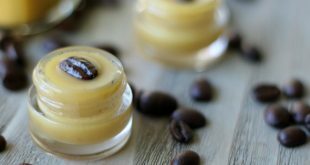 This is the best homemade natural cleaner that I’ve tried. Switching your cleaning products to natural options is one of the best ways to reduce indoor air pollution and reduce your exposure to harmful chemicals. 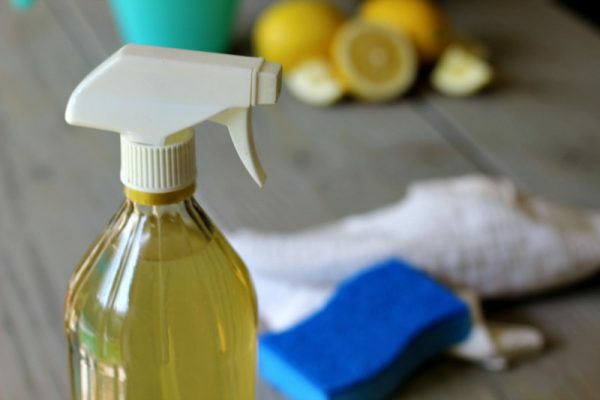 Not only are homemade cleaners a lot safer and healthier for you, your family and your pets, but they are way less expensive, too! My homemade all-purpose cleaner recipe is super simple – in fact, it’s only 2 ingredients! Plus, it works on nearly everything: floors, surfaces, kitchens, bathrooms, windows, dishes, appliances, mold, mildew and more. It cleans, it disinfects, it sanitizes. It smells clean and lemon-y fresh. I love it! And a little goes a really long way! Vinegar is a time tested, simple cleaner that cleans and disinfects. The low pH and acetic acid content of vinegar loosens up dirt and grease and prevents the growth of microorganisms. Studies show that vinegar deactivates viruses and pathogenic bacteria (source, source, source). But my only issue with using plain vinegar to clean is that it really stinks! Lemons not only smell wonderful, but they cut grease, grime and dirt like nobody’s business! 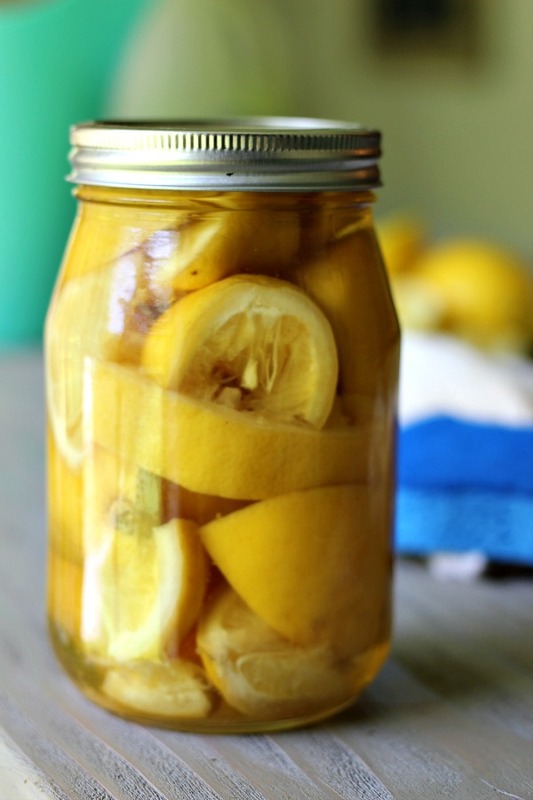 Collect your used lemons in a jar and cover them with white vinegar. Secure lid. Let the jar sit out on the counter for 2 weeks (it’s totally worth it, I promise!). 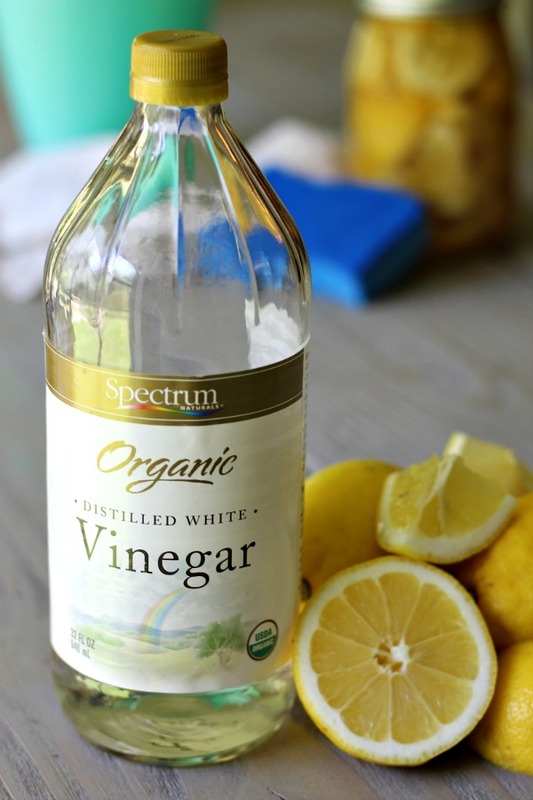 Combine equal parts water and lemon vinegar in a spray bottle. Use as you would any other all-purpose cleaner. If you are unsure of a particular surface, test on a small area first. 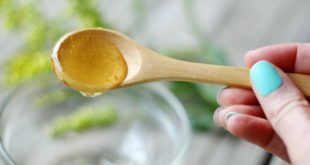 This all-purpose homemade natural cleaning recipe is super simple, inexpensive and works great! I hope you’ll give it a try to see for yourself! I have made this and love it!!! Adding a few drops of eucalyptus oil made it smell even more amazing. And what a great way to use up your lemons!!!! Oh that’s such a good idea to add some eucalyptus oil, too! Thanks, Elizabeth! I make the same, except I use orange peels. Like the idea of eucalyptus oil. When I first heard about this probably about 3 yrs. ago, I was delighted and made several batches, as I was using a lot of lemons. However, I found before long – after sitting awhile, it ends up growing a ‘very’ thick stringy substance in the bottom and all around the sprayer, fully clogged, which prevented it from working. I had to take out the sprayer and clean it off, but the bottom of the bottle is still full of the ‘thick substance.” I tried a couple times running it through a sieve, but that was a lot of trouble and it didn’t stop it from growing again. I was using our well water. Is this something you have to use within a few days? Since I usually made a qt. or 1/2 gallon in my canning jars, I would never use that much so quickly. I just wondered if anyone else has had this problem. Thanks for any suggestions. I enjoy your site with so many neat ideas. I am sure that the white stringy stuff is the “mother”. The same as in apple cider vinegar. I have no idea why I said that – duh – but remembered that comment later and then couldn't remember where I'd posted this. Just found it again this morning. 🙂 I must have been thinking of something else about using water…or just not thinking. When you infuse your vinegars…. make sure all juicy fruit parts are removed… only use the peelings and white pulp… if you use the fruity parts your vinegars get cloudy and full of residue…. also, make sure you strain tour infused vinegars well (small screen strainer or i use cheesecloth folded in half to strain) throw away your peelings and use the vinegars to mix in cleaning products, dressings, marinades etc. I only use the peels when I make my citrus vinegar. Never had any issues with that. Works GREAT! Hi I’m going to try your homemade cleaner looks great I happen to be in the mold Remeadiation business so I will give it the real test thanks there is lots of mold here in the Nashville area . 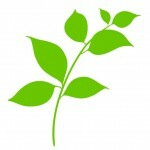 We mainly use botanical products which are non-toxic very affective but very expensive. Do you know how long this keeps usable? I am debating on whether to do a quart or gallon? Hi Kevin, the shelf life is 5+ years. I have 2 gallons sitting in my pantry for well over 6 months and everything is good! Very cool! I will be making up a larger batch. Thanks for all the quality information on your site. I just received my Health Mate Sauna today and am ready to do my first session tonight. Oh that’s so cool, Kevin! I just got out of my sauna session for the night – I wasn’t sure how much I would use it in the summer, but I’ve been using it just as much as I have in the winter – still noticing so many cool benefits. Love it! Take care! Hi! Is it ok to use all of the juice of the lemons as well as the lemon pulp and peels? And just make sure I strain it well in the end? I’m just wondering if using the juice of the lemons would cause it not to keep as well. Love this site. Thanks!! Hi Elise! 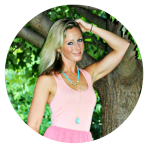 You can use everything – juice and all! And you’re right – just make sure to strain it really well! Have you tried apple cider vinegar. What about using pure lemon juice with the white vinegar? Only use lemons every once in awhile. That would work great, too, Sande! Love this! Want to try this soon! My husband has allergies to commercial cleaners, which is how I found this. I admit, I was very leery to try it. All I could think of is after I open it in 2 weeks, it will be rotten and reek and I will be back at square one. Boy was I wrong! Not only was it still good, but it was a great cleaner! We used this cleaner to clean our old apartment we moved out of, and now the new place we moved into. I can’t thank you enough for sharing this! Awesome, Michelle!! Thanks for the comment! How much pure lemon juice would I use? Hmmm….I’m not sure, Judi. We aren’t really using lemon juice for this recipe – it’s the rinds of the lemon that we want. Those have the most cleaning properties! Love this! Works great and hubby approved. Thanks!